Proficientz, Inc., a product portfolio management training and consulting firm for B2B organizations, announced today a series of half-day executive briefing forums that offer executives and senior managers an opportunity to learn how to create greater market value with a new approach for managing their product portfolio. These executive forums will discuss how product portfolio management helps organizations uncover bigger problems and deliver higher value solutions that are more strategic to target buyers. The forums will be conducted in 13 U.S. cities beginning in April 2012. Product Portfolio Management is a discipline focused on creating a more valuable company by uncovering and solving bigger problems at a level that transcends individual products. Business practices for evaluating markets, analyzing competitors, formulating strategy, developing requirements and executing product plans take aim at a completely different target - the performance of the organization in key market segments. This forum is ideal for B2B organizations that have multiple products largely targeting the same markets but operating in disconnected silos. Executives and senior managers will be introduced to new best practices that remove the silos and foster collaboration across product teams to focus on uncovering and solving bigger problems in market segments most conducive to meeting the organization’s goals. Product Portfolio Management ties the organization’s goals directly to specific market segments, thereby motivating product teams, marketing and sales to work together to meet common market goals. Proficientz was founded on a single principle – it’s more important for product teams to possess skills that create market value for their organization than it is for individuals to create better mousetraps. Teaching individuals how to improve the market performance of their products doesn’t accomplish that goal because it forces product teams to compete in the interest of product goals that eventually work against the organization’s goals. The Proficientz model for Product Portfolio Management raises the skills of your product teams to a level where they’re consistently creating greater market value for your organization by uncovering and solving bigger problems at a level that transcends products. Product execution is still product specific but done with clear strategic purpose. 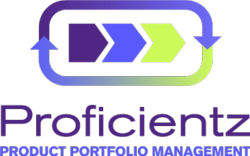 Proficientz specializes in B2B product portfolio management. Our goal is to create world-class product teams that are more valuable to their organizations than a group of individuals striving to create better products.